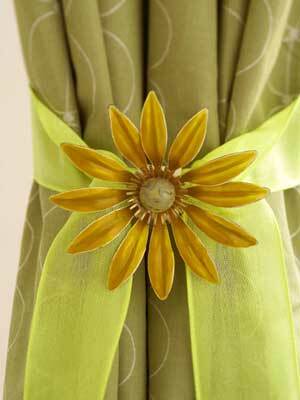 A vintage pin adorns a ribbon for a pretty curtain tieback. Wrap sheer ribbon around the curtain panel and tie, leaving tails about a foot long. Pin the flower brooch at the knot. Brooches like this one are easy to find.